The transponder for instance: turning the knob to TST turns the transponder ON in xplane 11 (I fly the 172 with REP as well). Turning it to ON activates the ALT mode in the sim and finally turning it to ALT turns the TST mode in the sim. When I push the ident button on my FI transponder it does not activate the ident function in the sim so what about in pilotedge if I need to ident? Do you have the same issue and if so how did you solve it? The same with the AP module for which the HDG, VS, APPROACH modes switches do not activate the same in the sim. Same issue here, including the autopilot as well. Hopefully we will hear from basement flyer since Flight Illusion has not be helpful. BFG already answered me by email saying that he noticed the same but that it was not really an issue for him. I went back today to Matthijs from Flight Illusion and I sent him my config file of the FI software that connects the gauges/radio to xplane. Additionally, I did a summary of all the functions that do not work properly due to no communication between the gauges and the sim. I also mentioned that you guys experience the same issue. He will run my config file in their sim lab to figure out the issue and hopefully find a solution or address the missing functions to be declared in their soft in order to establish the communication to/from the sim. I will keep you posted when I ll have good news…just stay tuned . Personally I think it is not a waste of time since more and more sim builders are leaving FSX or P3D for X Plane 11 platform so they will have to follow the trend! Stephane that’s awesome, thank you so much for the info and keeping me in mind if you hear anything from FI. Hope they get back to you! Matthijs has already modified my config file at least for the missing function regarding the fuel gauge: So far I had to select the left fuel tank variabl in the flight Illusion software and assigned it to my right fuel tank gauge because the right fuel tank variable was not available in the list. This is now created and I ll test this tomorrow. FYI below is the list I ve reported to Matthijs hoping I did not forget anything. If you notice something that I missed, please let me know so that he can address it as well! No way to attribute the right tank level in the sim to the right tank gauge on the cessna engine cluster, therefore the right tank can only display the actual value in the left tank forcing to use the fuel selector sets on « both » at all time. 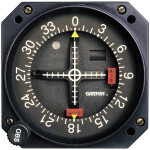 AP bug of the gyro gauge does not fit the value of the sim and therefore cannot be used (e.g. setting 045° on the FI gauge, turns the AP bug in the sim to follow 020° for instance). RMI : ADF displays correctly the direction of NDBs set on the FI bendix king radio, but the RMI does not display the VOR even if set properly on the radio. Therefore the RMI can only be used for NDB for the moment. No interaction of the RMI VOR needle with the VOR from the sim. Audio panel : MKR and DME switches do not change the same function in the sim. If I want to turn OFF the Makers audio for instance, I have to manually click with the mouse on the « markers » button in the cockpit of Xplane 11 because my gauge does not influence it. Transponder : when FI transponder is set to TST, it turns it to « ON » in the sim —– When FI transponder is set to ON : It turns it to ALT in the sim —— When FI transponder is set to ALT it turns it to TST in the sim —– When I push the Ident button on my FI transponder, it does not activate the Ident function in the sim which is an issue in PilotEdge for example. Autopilot : HDG button is OK but since the AP bug of the FI gauge does not set the same heading as in the sim, it is not possible to use it properly without observing a heading offset. APR, REV, VS modes do not activate the corresponding functions in the sim. Same exact issues, thank you for letting them know, I email them as well with the same list. Matthijs said he will be doing more testing tomorrow and legt us know. Stephane, sadly, looks like this issues will not able to be fixed, at least not anytime soon. I’ve been offered to return them and and refund by Flight Illusions, but I am not sure if I want to do that. I would be willing to hack the radios and see if I can get them to work with Pi or Arduino and Airmanager if I get a partial refund. Let me know what you are doing, curious to know. It s a shame…I ll stick to the Bendix king set because those bug are just secondary functions so I live with it. I ve asked Matthijs to at least solved the VOR function of my RMI, otherwise it makes no sense to have a RMI if it is just behaving like an ADF instrument! They should claim on their website that xplane is only partially supported…. Thanks for letting me know! Hello everyone, my name is harold. I do also own the same FI radios, with the same problems you all are having, the autopilot arm features also does not work as it should. Basicly the unit is only good for the HGD Bug. I have had a few emails back and forth with Matthijs last spring about this, His last reply to me………. Our AP is a replica of the KAP-140 and should work like this original. For me there are also some strange things about how it works, but it is…In the design stage we make it more logical, but as these modules are used in certified environments we must make it as the original ones. I am sorry, but we don’t make changes to the software for these modules anymore because they are also used in certified environments and we don’t like to start a new route for certification again. I suspect some of the comunication problems we are having between Xplane 11 & the Autopilot & XPDR is hard coded in thier units. other wise a good coder in short time could fix it, post the updated Xplane 11 software on their site, and we all would be good to go. I also have their force feedback yoke, it has software problems, nothing big, but again, no luck getting them to fix it. Hey Harold, a few weeks back the guys at Flight Ilussion and I emailed back and forth, after they offered me a refund, they got back telling me that they were working on a fix for all these issues. They sent me a preliminary version of their software that fixed the transponder issues. And told me that they were working on the audio panel issues and then the autopilot. I haven’t heard back from them in almost 2 weeks, but I will email them again today or tomorrow. I suggest you email them as well, the more of us put pressure on them the better. These are expensive hardware pieces and they should be more upfront about these issues and if any work is been done to fix them. Glad to read your answers…it is moving forward. For the transponder, they fixed the ident function as well? Is it a new software version or a file to add for the last modifications? Could share the file? Hey Stephane, I got a new .exe and config file. Yes, the ident work, all else in the XPDR works as it should. See you email in 20-30min. Any new news from the FI boys on the updated software? Also would you send me your updated EXE that fixed the XPDR problems? I too would love the new .EXE and .CFG files, it that’s possible.